I am hosting a sweet 16 party at a venue with a vaulted ceiling. 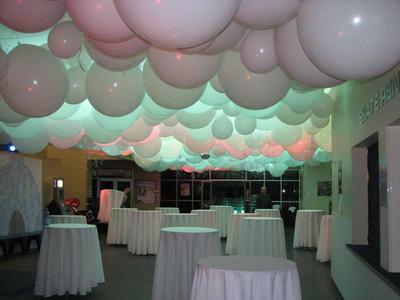 I want to hang large 22" balloons filled with air not helium from the ceiling. Any tips would be welcomed. 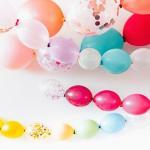 Sounds like you are planning a stunning sweet 16 party! 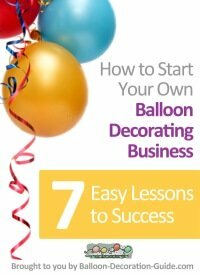 To hang the air filled large balloons from the ceiling, you need to find a way for attaching them to the ceiling. 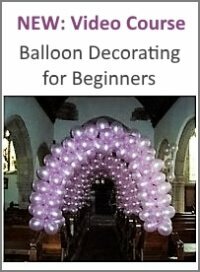 The easiest would be if the ceiling had already some structures like beams where you could tie the balloons to, using fishing line or color matching ribbons. 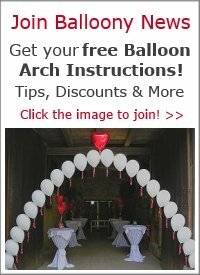 If that's not the case, perhaps you could span several lines of wire across the ceiling and then attach the balloon clusters to the wire? Another solution may be to use 3-M poster hanger hooks which can be easily removed from the ceiling after the event. But you'd need a lot of them to create the effect shown in the photo.